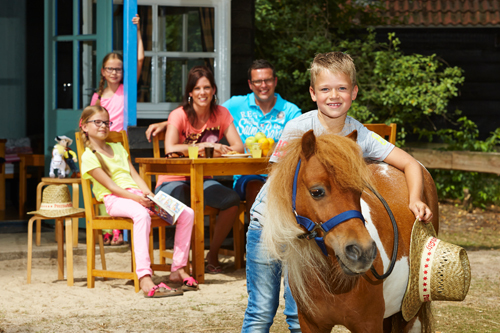 Pick your pony from the stables yourself, brush it, feed it and ride it like a real cowboy along the many sand roads in the resort! Children up to a maximum of 60 kg and 1.7m may ride the ponies. Our employees will select a pony based on an assessment of your child’s height and weight. Of course, visitors of all ages are welcome to walk ponies through our park.